Instantly conceals lines, pores, and imperfections. The liquid-to-powder formula offers a nourishing blend of minerals to visibly improve the appearance of skin. A hydrating, weightless, flawless BB cream can be applied lightly for a sheer finish, or layered for fuller coverage. Direction: Start in the centre of your face, and move outwards. Draw the foundation outwards rather than down. Make sure that it is spread evenly. 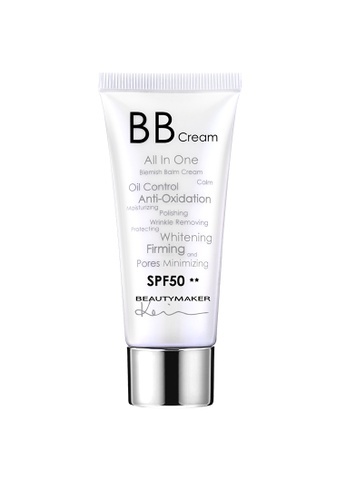 Can't find All In One Blemish Balm Cream SPF50 in your size? Care label Please place it in a cool place. Please tight the opening after use.